If you’re eager to learn what’s in store for Just Cause 4 after release (despite not having, you know, even managed to play the base game yet), there’s some good news! Square Enix has revealed first details on the post-launch DLC coming to its open-world stunt-action extravaganza in 2019. Just Cause 4’s post-launch DLC will, says Square, consist of three separate content “packs”, each with its own distinct theme. For instance, pack one (also known as Dare Devils), is a racing-focussed instalment in which Rico takes on the gangs of the Solís underground, challenging them to “heart stopping death races and rampage rallies”. Just Cause 4’s second DLC pack, Demons, takes a turn for the supernatural, and sees Rico face an ancient demonic force that threatens the inhabitants of Solís. Its third and final DLC pack, Danger, apparently introduces new advanced technology, new secret weapons, and specially trained operatives – all thanks to the mysterious arrival of Rico’s former employer. There’s a brief tease of Just Cause 4’s various post-launch packs in the video above, should you wish for some visuals to go with your words. For some reason, it features different names – Dare Devils, Los Demonios, and Agency Strikes Back – to those listed in Square’s press release. All three packs will be available as part of Just Cause 4’s Demons, Dare Devils, and Danger expansion pass – which can be purchased separately from the base game, or is included in Just Cause 4’s Gold Edition. Square notes that those opting for the Gold Edition will also be able to play each pack seven days early. Alternatively, you might prefer to think of it as being forced to wait an extra seven days to play if you don’t. 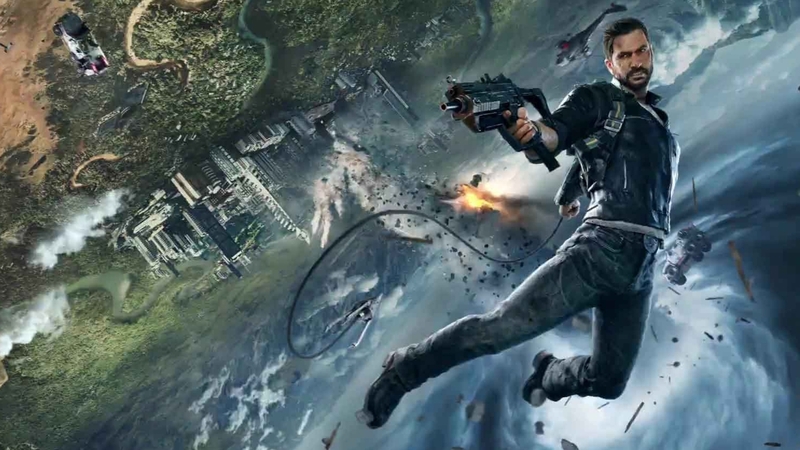 Just Cause 4 arrives on PlayStation 4, Xbox One, and PC on December 4th.